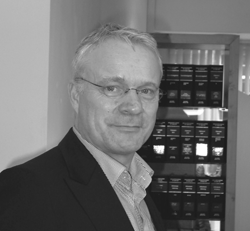 He specialises in handling tax conflicts and fraud cases. 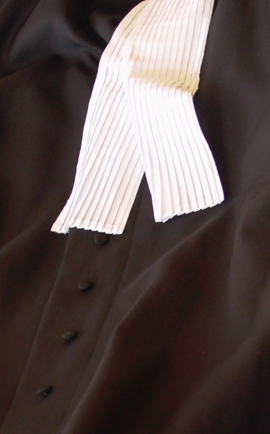 His work as a mediator is mainly in the areas of business disputes and property divisions. He is a member of the Dutch Tax Lawyers Association (NVAB); Dutch Mediation Lawyers Association; The Hague Employment Lawyers Association; Dutch Tax Mediators Association (VFM). Kaushilya Budhu Lall, LL.M. studied civil law and tax law. She has been working as a lawyer since 1988. She assists individuals and businesses in the area of contract law and in tax disputes. 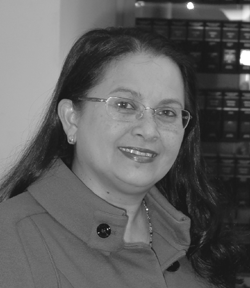 She is specialised in the settlement of complex property divisions and assists clients in the field of inheritance law. She is enlisted to the Registry for Estate Planners and is a board member of The Hague section of the Confederation of Netherlands Industry and Employers (VNO-NCW). She is a member of the Dutch Employment Law Association and the Dutch Procedural Law Association. Olga Huisman, LL.M. studied international law and has worked as a lawyer since 2005. Before that, she worked for over 3 years as a legal expert with the Employee Insurance Agency (UWV) in Rotterdam. 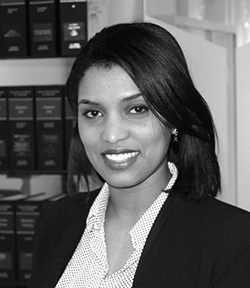 She works in the fields of employment law, contract law, family law and social security law. 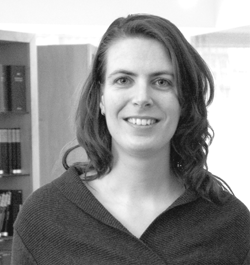 She is a member of The Hague Juvenile Lawyers Association (HVJA), the Dutch Employment Law Association (VvA) and The Hague Employment Lawyers Association (VHAA). Gloria Gomes, LL. M. studied civil law at the Erasmus University of Rotterdam and for six months at the Hofstra University of New York. She works in the fields of employment law and family law. Dutch, English, Portugese, Cape Verdean.